I always knew that it didn't even matter what degrees you have or what kind of job u have. Their is always a possibility to hustle and earn EASYMONEY. I put a lot of time in tape study and watching interviews from fighters. The mental part is a very important aspect of MMA in betting. 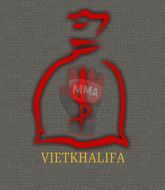 My second hobby is muay thai that's the reason why I am very knowledgeable in the areas of clinching and striking. On every fight that I bet on I am studying their striking offense, striking patterns and striking defense. After I break a fighter down I know exactly what his favorite combos are and what kind of bad habits he has. So it Is much easier for me to get a right outcome between two skilled fighters! You will see that my results are speaking for itself. 2017 will be my year. My betting style is to keep it simple as I can . I don't like to have more than 4 bets per event because I want to keep it simple and efficient for my future customers. If I ever bet more than 5 units it means I am super confident in my bet. 11 units means that I almost 100 percent sure.